Keeping track of the time is usually the last thing on my mind when I sit down to spin. But the Mike sweater came out of a conversation where he was asking just exactly how many hours it really took to spin and knit a sweater. I realized I had no good answer, other than a few vague estimates here and there. So, I’ve been logging my hours. Today, I plied off the first three bobbins. 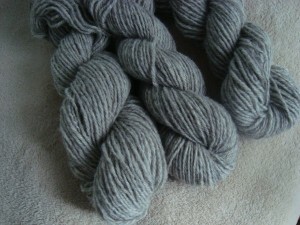 The yarn is a worsted-weight, woolen spun, and I got 450 yards in just under 9 oz. The spinning took about 14 hours, and the plying 1 1/2. The funny thing is, I think that the spinning will probably be the fast part. I am guessing that the knitting will take even longer, but I don’t really know for sure. Guess we’ll find out soon! 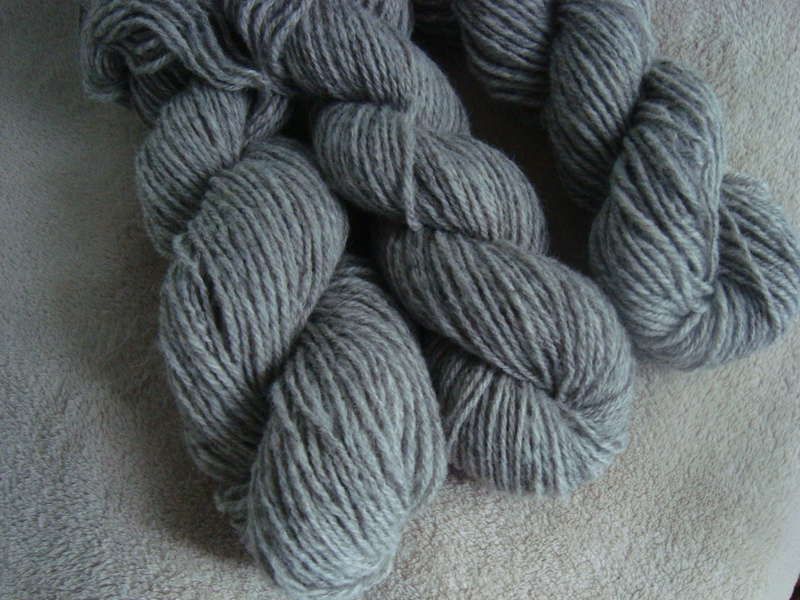 Lovely wool, lovely color. It looks quite warm and will make a beautiful sweater. Wow, it’s a little overwhelming when you start quantifying the time. But I’m not surprised by the amount. The yarn looks well worth the time. DesigKnit is powered by	WordPress 4.8.9 . Page generated in 0.264 seconds using 36 queries.